This service was born out of a distributor requesting a more long term relationship with the distribution team. He came to the realization that being the leader of a small, privately held distribution company can be a lonely place. As the leader, you are subject to your own best ideas. The distribution coaching service is all about giving the client a sounding board to discuss strategic direction and organizational challenges. As a coach, it is my responsibility to keep the client moving toward their organizational goals. The relationship begins with a site visit so that I can get a feel for the organization and discuss plans for improvement. The client and the coach enter into a six month coaching agreement. The agreement includes bi-weekly phone meetings and unlimited email support. At just $600 per month, this is a very economical way to have a partner in the business without the downsides of joint ownership. With over 20 years of experience in the distribution field, I can help you move past those nagging barriers to success. Less than 1/3 of family businesses are able to transition to a second generation. Less than 1/3 of those make it to the third generation. I want to help you become one of those companies who is able to buck the trend. Having been a second generation owner in a family business, I know the challenges that prevent successful transitions in leadership. I am proud to say that my family business is flourishing under the second generation leadership of my brother, but it wasn't easy. There were plenty of gaps in our education and bruised knuckles along the way. Let my experience help prepare the next generation of leadership in your family business. With this service, we tackle the most critical operational challenges in your business. When you order this service, we ask you to list the top ten areas that keep you awake at night. During the visit, we meet with your key personnel to dissect these problems and develop practical solutions. While we may not be able to solve each problem during the visit, we will give you an action plan for all areas of difficulty upon our return to the office. Sometimes the problems are not easily identifiable. 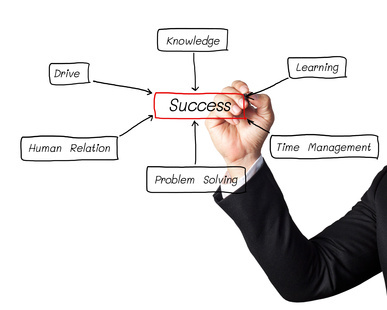 In this case, we will meet with your key personnel to identify the areas of greatest challenge. Once the problems come to the surface, we can begin to develop practical solutions and an action plan to get things moving. Whether your challenges are hidden or glaring, let our 40-plus years of combined experience help you steer your ship back to profitability. This service is geared toward tackling a specific challenge in the organization. Perhaps you want to implement a policy to clean up your dead stock problem. You may be looking for some help choosing a new distribution software package. You may want help getting ready for warehouse automation software. The list could be endless. Rather than a business review, this is a rifle shot consulting product.